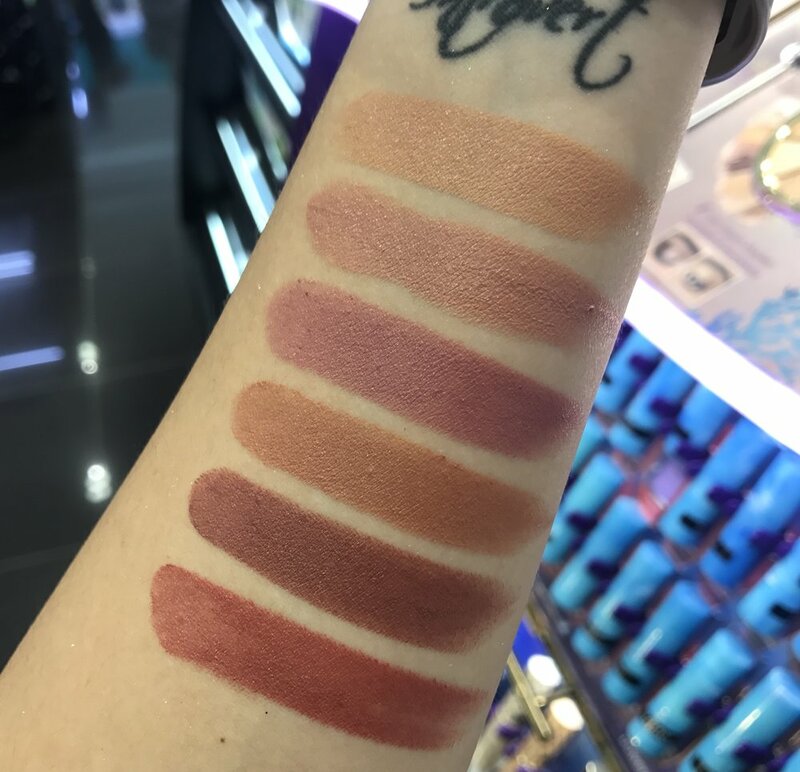 Hellp peep, Sephora Thailand finally carries the Tarte Rainforest of the Sea Line! I went crazy and swatched everything. 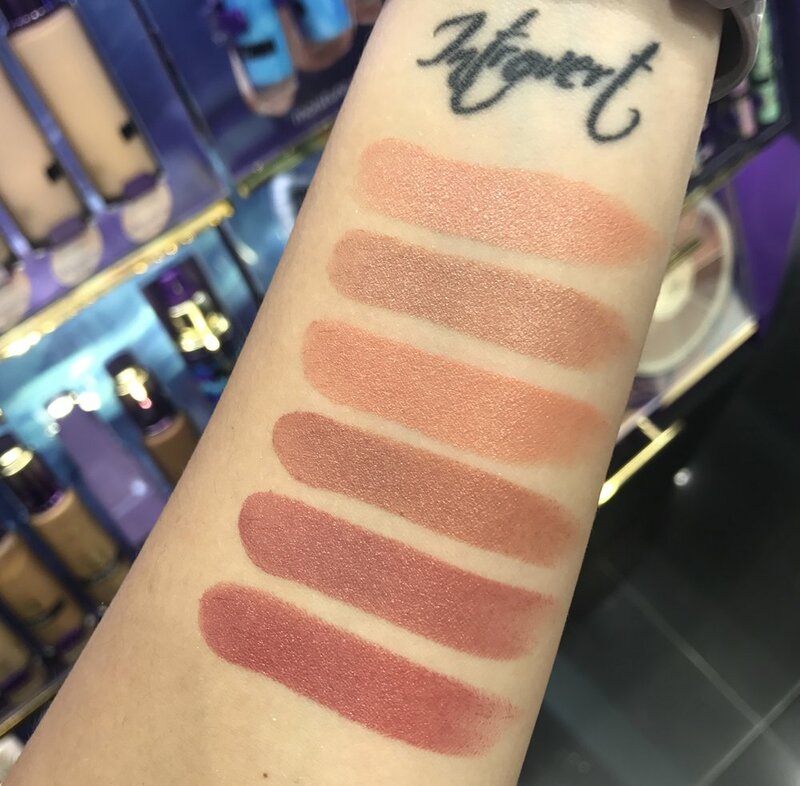 So this post is the swatches for the Color Splash Lipsticks. I will split into 4 photos, 6 shades each. I looooove the formula. Creamy, but doesn’t slip. Last quite a long time, and there are so many shades to choose from! Next up is the Tarte Quench Lip Rescue!. These don’t show much color once applied on the lips, just a faint tint of color. I LOVE LOVE LOVE how they have a cooling effect, its perfect for the hot weather here! The packaging is also super adorable. You can’t go wrong with any shade.